When you work for Tune, looking your best is expected. Perfectly groomed and dressed, he is the epitome of class. 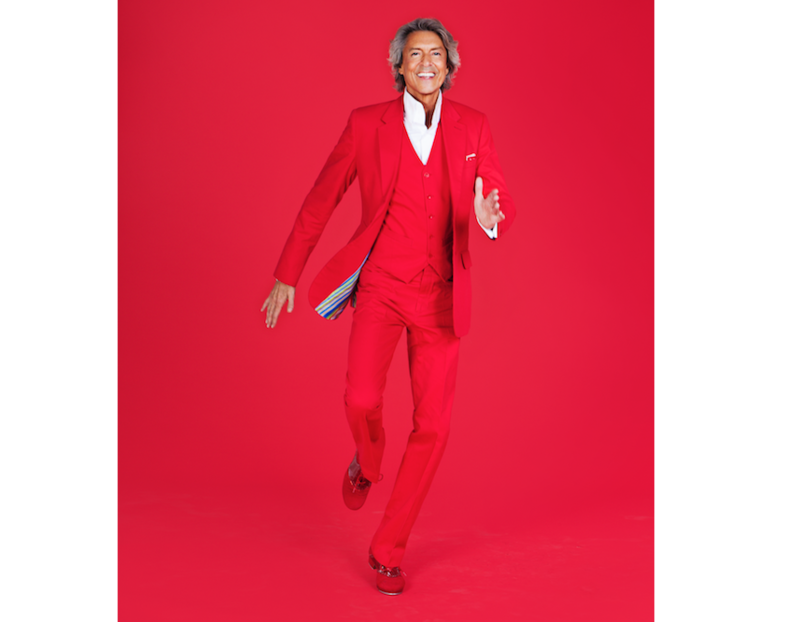 His costume for this show is a bright red sequined suit, paired with shiny silver tap shoes. Although most audiences today attend the theater in casual clothes, Tune's performers are meticulously dressed to the nines, and they look fabulous. Tune's pianist and musical director Michael Biagi, for example, is excited about his new black suit—he bought it for himself as a birthday present. He carefully folds and refolds his handkerchief backstage to get it placed just perfectly in his pocket. Towards the end of the afternoon rehearsal, Tune suddenly decides to cut a monologue from the show. He substitutes a song from Chicago, "Nowadays." Biagi, his pianist, seems stressed; he didn't bring the chart for this song with him. To complicate matters, Tune is also now singing it in a different key. You've got to be flexible to adapt in these situations. The change is worth it; there's a surge of energy on stage as they run through the number. This last-minute, split-second change breathes new life into the show. Tune still brings his favorite team on tour. Photo by Franco Lacosta, courtesy Tune. Peter Glebo, Tune's creative director, explains that Tune could hire local musicians, which would be cheaper. Instead, he brings his own, because this group is so in tune. Each has worked with him anywhere from 12 to 48 years. They have a fun, healthy and happy group energy. You can feel it. Tune also uses the same devoted dance assistants on his shows. He is a loyalist. Before the show starts, they all stand in a circle together, joining hands, and setting their intention to be the best that they can be.